Manchester United are on the brink of making history today. United have a golden opportunity to become the first team to reach 2,000 points if they manage to grab all three points against Watford this afternoon. Ever-present in the competition since its inception in 1992, United have an amazing 1,997 points and victory against the Hornets would guide them to the elite landmark. Having won 13 league titles during this time it’s actually not at all a big surprise that the Red Devils have collected the most points from the 948 games that they’ve appeared. United have won 598 of those matches and drawn 203 times to reach their 1,997 total. Among other Premier league big boys, Arsenal are the Manchester giants’ nearest challengers sitting on 1,794 total points, with Chelsea a further 39 back on 1,755 points. These three elite clubs, who have won 20 titles between them, happens to be only three of the six teams to have appeared in all 948 Premier League games so far. Liverpool (1,647), Tottenham (1,411) and Everton (1,303) are the other three and as expected, all six teams occupy the top spots in the all-time points list. 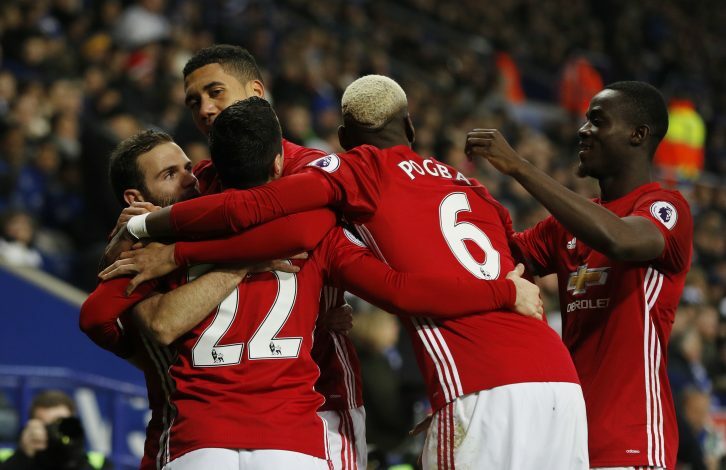 United are also the only team to have an average of more than two points per game in the Premier League era, with 2.11. Arsenal are second with 1.89 in a top four similar to the points list, though Manchester City are fifth on 1.51 and the most interesting fact is Leeds are surprisingly in the seventh position with 1.48 (692 from 468 games). However, if Manchester United are looking for the 2,000 point mark today, they are quite well aware that it will be a stiff challenge against a Watford team that handed them a shocking 3-1 defeat at the Vicarage Road in the reverse fixture earlier this season.